Part baked frozen chocolate croissant, ready to bake. Those French danish pastries are pre proofed and don't need to be egg washed before baking. Bridor chocolate croissant combines an intense authentic cocoa flavour with a delicate, crispy, melt-in-your-mouth pure butter pastry. It is a must for your breakfast. This french "pain au chocolat" is made with 100% butter which gives an authentic traditional taste. Eustralis Food is a wholesaler of a wide range of frozen bakery products all around Australia (Western Australia - Perth, New South Wales - Sydney, Victoria - Melbourne and Queensland - Brisbane). 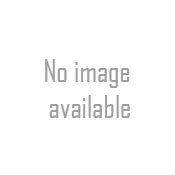 To know more about this product, please contact us. Part baked frozen escargot danish, ready to bake. Those French danish pastries are pre proofed and don't need to be egg washed before baking. This Bridor danish is commonly called escargot because of is shape that looks like a snail shell. 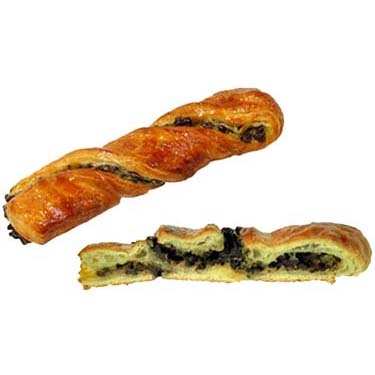 Escargot pastry has a soft centre rich in crème pâtissière and is filled with raisins. The grapes used for the raisins are carefully selected after each harvest. Large in size, they add a delicate sugar and honey flavour. Eustralis Food is a wholesaler of a wide range of frozen bakery products all around Australia (Western Australia - Perth, New South Wales - Sydney, Victoria - Melbourne and Queensland - Brisbane). Part baked frozen cinnamon swirl, ready to bake. Those French danish pastries are pre proofed and don't need to be egg washed before baking. This Bridor French danish is made with a fluky 100% butter pastry, custard cream and cinnamon spice. Ideal for snacks and breakfast.